We are one of the trustworthy names in the industry in presenting a wide gamut of Programmable Logic Controller to our esteemed customers. The offered products are designed using the finest quality material and sophisticated technology. In addition, this is a multi-processor architecture that delivers exceptional performance and comprehensive diagnostics with SIL communications, faster response time and configurable redundancy. Critical control & safety system enabling high integrity and high availability. A multi processor architecture that delivers exceptional performance and comprehensive diagnostics with SIL communications, faster response time and configurable redundancy. To control your processes we need everything fast and reliable so that there is no delay and loss. Our Control Systems fit your most demanding application needs. 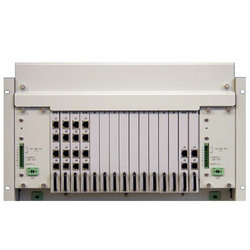 They offer modular architectures and a range of I/O and network options. These powerful control solutions deliver world-class capabilities for all disciplines, from process to safety to motion. Designed for distributed or supervisory control applications, programmable automation controllers (PACs) and programmable logic controllers (PLC) provide exceptional reliability and performance.